produce portraits of lives I’ll never know. falls hard on the dense reality of a brick wall. while wind is guided gently over poppy fields. daises curl up to remain elusive. the sea rolls waves over itself eternally. Church tower bells lament another midday. Today’s featured poem comes from Alex Stevens. A brief snapshot of six images, presenting small, metaphorical worlds which are deeper and more wide-reaching than the sum of their parts. Each part presents musings on existence, the interplay of nature and society, decay and rebirth. Alex utilises a breathtaking sense of economy in these brief collections of words, and in so doing creates brief windows into snapshots of time, and the silent moments in the world behind that which is familiar to us. A poetic voice at it’s purest. Leave your thoughts below on this piece, share and follow us for more new poetry and news of what is going on in our world. 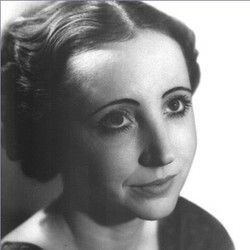 Welcome to our regular Sunday feature, where we present to you the words of the poet themselves, and this week we have gone with something a bit different, not a poem, but Anais Nin reading an excerpt from her own diary, which she started writing at the age of 11, and continued until her death (this recording was done in 1966). To us, this reading speaks much more about her than any of her poetry (prolific and accomplished as it was). We really get a sense of Anais as a poet from these words, which can be said to be a series of poetic observations on life itself, and the circumstances and moments that surrounded her life, and into the company she kept. It is a really intriguing and eye-opening reading that lets us pry like voyeurs into her life a little bit more, and lends an extra familiarity with her and her work. Enjoy this piece, and Happy Easter, everyone. Time for another piece by John Ashleigh today. It’s been a while since we last featured this writer, and this piece is of his usual high standard of work. An astute observation of nature (one of John’s signature aspects of his poetry), this piece is highly reverential, whilst at the same time analytic of the position of the observer, both spatial and metaphysical. A concise piece, highly effective and beautifully constructed. Leave your thoughts below on this piece, share and follow us for more poetry, literature and news of what is going on in our corner of the literary world. after he said we haven’t talked in a while. then I tell him it’s the middle of summer. then he looks sad, he forgot he has to work tomorrow. because we haven’t talked in a while. I smile and tell him I’ll talk to him tomorrow. I know I may never see him again. for now I’ll just look at my shoes. Our first featured piece by Cassie Mae, this is a very well-constructed poem with good attention to meter and style. It speaks of awkward, fleeting love and longing in a familiar way to many. Leave your thoughts below and share this content. Happy Sunday everyone. Welcome once again to our “Weekend poetry readings”, where we round off the week with a great poet reading their own work. This week we went with one of the greats of 20th century poetry and literature, Charles Bukowski. Let’s face it, Bukowski may to many seem the least obvious voice of poetry, but from his darkness has sprouted beauty. Plagues with problems, if he didn’t write, he would most likely have ended up a broken, washed-up tramp drinking in the alleyway of life (a sentiment he would no doubt have understood). There’s just something we find fascinating about him, the true outsider, the reject son of poetry. He, more than most, epitomises the post-beat poetry. So sit back, and enjoy this reading of his famous poem “Bluebird”, by the man himself. Recognise the beauty in the savage face of the rejected. Be inspired. Leave your thoughts below on this piece, and check out our poetry in the archives. Leave our writers some love, and share this content. It all helps us to bring out new poetry from writers whose voices demand to be heard.